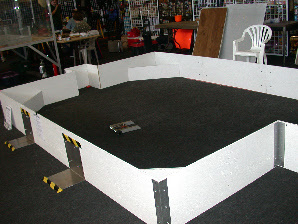 Team Kick-me is trying something different: Bot Hockey - Yeah! It’s like the old fashioned robot “Streetfight”, i.e a less destructive version of what goes on in the arena. We’ll try it for a few rounds and see what happens. 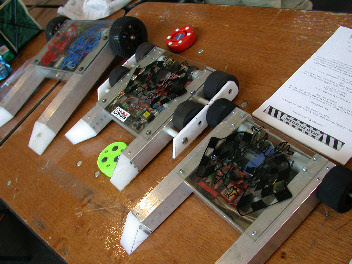 We got our start with the Calbugs crew where we were fighting some insect bots. Dave is a friendly guy who throws together some great events. We’d seen some action at RoboNexus and had the bug!